FRANKFURT -- Volkswagen Group's scandal over false CO2 emissions figures affects more gasoline engines than previously disclosed. The automaker said in a statement that it has now identified 430,000 VW, Audi, Skoda and Seat models from the 2016 model year. These are part of VW Group's disclosure that it may have understated CO2 emissions in up to 800,000 vehicles. VW released a list of vehicles affected after German business hours finished on Friday. Most of the engines affected are diesels but the list also includes gasoline engines previously not implicated in the CO2 deception. VW said on Nov. 3 that it was investigating irregularities that may have arisen in determining the CO2 figures for type approval of about 800,000 vehicles. The automaker at the time named one gasoline unit - the 1.4-liter ACT gasoline engine in VW Polo with cylinder on demand technology. The company's latest statement said it had identified "implausible" CO2 data in the three-cylinder 1.0L TSI gasoline engine used in the VW Polo, and Seat Ibiza and Leon hatchbacks, as well as the four-cylinder 1.8L TFSI offered with the Leon SC coupe and Sport Tourer wagon. The four-cylinder 2.0L TFSI used in the Golf and Passat was also listed. VW Jettas with four-cylinder 1.2-liter and 1.4-liter TSI engines were also listed. All the Audi and Skoda models listed were TDI diesels. Out of the 430,000 cars with false CO2 emissions, some 282,000 were VW brand vehicles, 83,000 were Skodas, 32,000 were Seats and nearly 16,000 were Audi models. Some VW Caddy and VW Multivan models sold by VW's light commercial vehicle brand are also on the list. VW said it is informing the relevant type approval authorities of the latest findings, including the the German Federal Motor Transport Authority. The CO2 emissions disclosure has added a new dimension to the VW scandal that had previously focused on a software "defeat" device in up to 11 million diesel cars worldwide to fool official tests for harmful NOx emissions. The CO2 deception is potentially more serious because some European countries -- including Germany, France and the UK -- tie vehicle road taxes to CO2 emissions. VW said it is talking with financial and fiscal authorities in those countries so that all taxes arising in relation to the CO2 issue are charged to the VW Group and not to the customers. VW owners may demand compensation because CO2 emissions are related to fuel economy so their cars are more costly to drive than they had been led to believe. The fuel efficiency deviations were in some cases between 10 percent to 15 percent, VW has said. German newspaper Bild am Sonntag reported on Nov. 8 that several VW engineers have admitted manipulating engine emissions because CO2 reduction goals set by former CEO Martin Winterkorn were difficult to achieve. 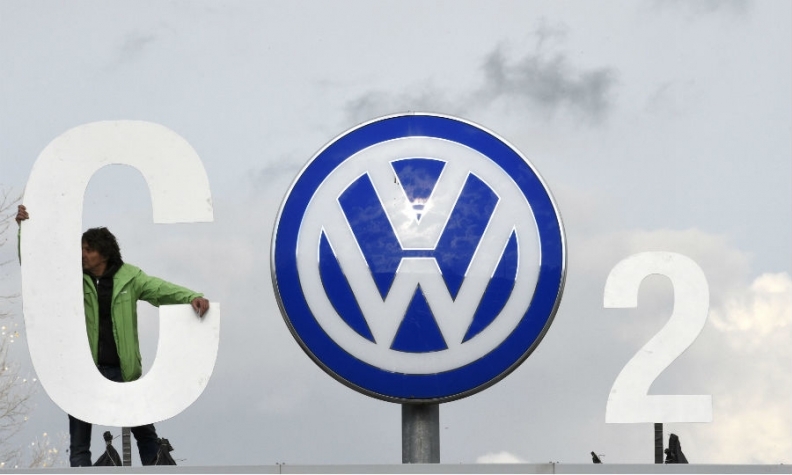 A VW of America spokeswoman said the CO2 issue will not have an impact on the U.S. market. Carbon emissions are calculated differently in the U.S. than in Europe.